The town of IMILCHIL, located in Morocco’s Atlas mountains, hosts a unique yearly Marriage Festival, during which Berber families from all over the region gather with the hope of finding spouses for their sons and daughters. The festival is full of music, food and flirtation. Several dozen couples form and become engaged to marry each year. According to legend, two young people from different Berber tribes around Imilchil fell in love but their families forbade them from marrying. In their grief they cried themselves to death, creating the companion lakes of Isli (his) and Tislit (hers) separated for eternity by a mountain. Their families honored the anniversary of their death by creating a festival during which members of local tribes can meet and eventually marry. 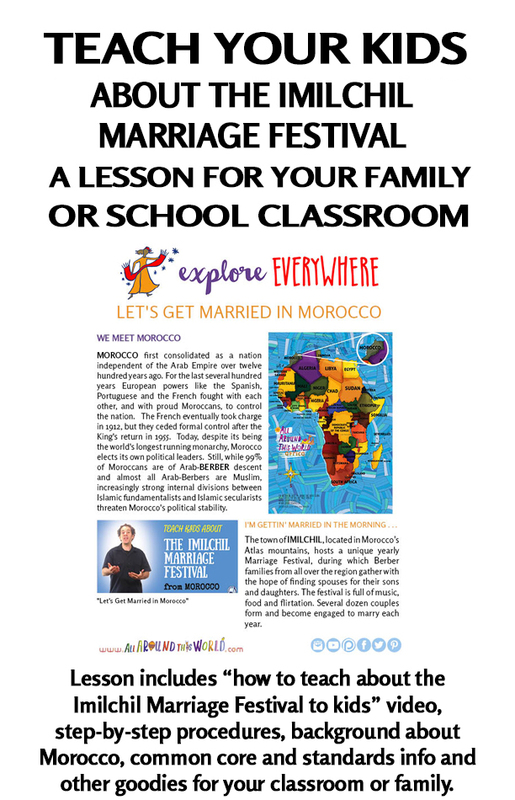 PLEASE NOTE: The lesson and embedded video are NOT “How to celebrate the Imilchil Marriage Festival” tutorials. The goal of this lesson is to provide the tools for you to treat your very youngest students to their first introduction to the the festival and to inspire you to get up enjoy the idea together. 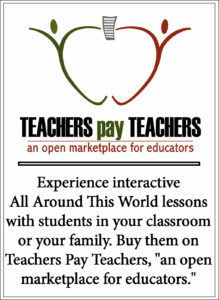 Ideally the lesson will be the first step on your and your students’ road to further Moroccan and Berberexploration.